Search Real Estate Poconos with Bev Waring. Ready to Buy and Sell Real Estate in the Pocono Region and View Pocono Homes For Sale? Then you're on the perfect website! Having spent a lifetime in the Poconos in Pennsylvania, Bev Waring has the knowledge and expertise you need when learning about the area. With so many beautiful areas to choose from, she can help you determine the one that best suits your needs. Whether you prefer to search all Pocono Real Estate or explore Stroudsburg Real Estate, working with Bev will help you find the perfect home, within your desired New York City and Northern New Jersey commute. See More Pocono Homes - NEW Listings Updated Daily! RealEstatePoconos.com is your HOME SEARCH SOURCE for the Poconos, helping you find Poconos homes you can tour today! Featuring ONLY active listings, you can be sure that the home you see is still available. Learn more about our communities, from Shawnee to Barrett Township or from Mount Pocono to Delaware Water Gap. You can even search homes by school district! If you are looking for something in particular, the Advanced Search allows you to search by feature, from dog kennel to fireplace, helping you to find the home you desire, easily. 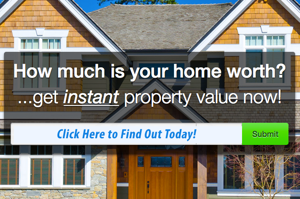 Click here to get an INSTANT report on your property today.